But get to File Explorer and even in Windows 10.1, where it’s gone through goodness knows how many rewrites and iterations since the original file explorer back in Windows 3.1 days, you get a whopping two choices and if you don’t like ’em, tough beans. 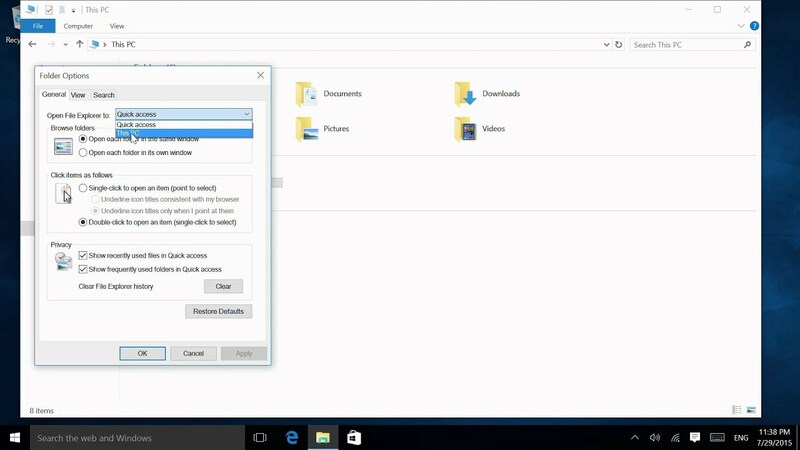 Turn on the option labelled File Explorer to add File Explorer back to the Start menu. But if the File Explorer option is grayed out as shown in the picture below, please refer to the instructions in Method 2. To change the setting, open Explorer, click on File and then click on Change folder and search options. In the dialog that pops up, you should already be on the General tab. At the very top, you’ll see Open File Explorer to where you can select from This PC and Quick Access . Change how File Explorer opens By default, File Explorer opens to the Quick Access list. But you can change this so that File Explorer opens to This PC (basically My Computer).